Our campaign to keep open through trains from Sutton to north London has been a successs. The threat has been removed. 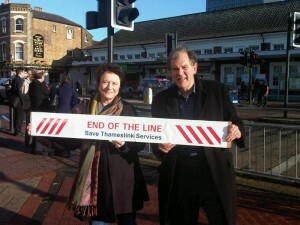 The picture above shows Richard and Heather at our “Day of Action” outside Sutton station. 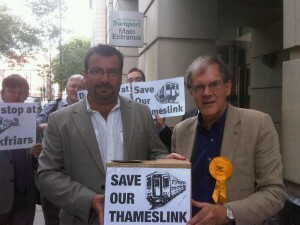 The picture below shows Richard, with Councillor Simon Wales, presenting our petition at the Department for Transport last August.